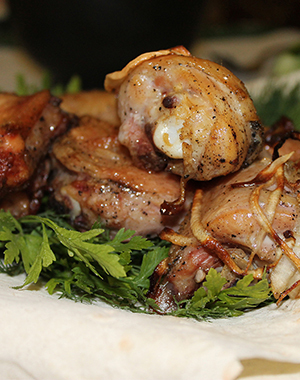 Gyumri’s traditional cuisine is famous for its soups, pilafs, meat dishes and deserts. 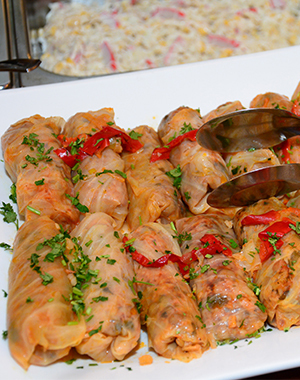 Special dishes include tatar boraki, dolma,kufta,khazan barbeque. 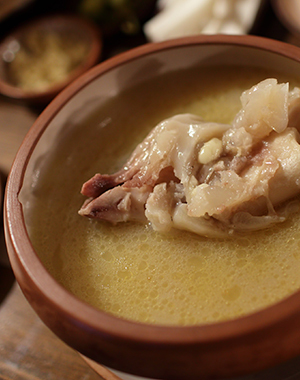 Armenian traditional khash is favourite dish of Gyumretsis. 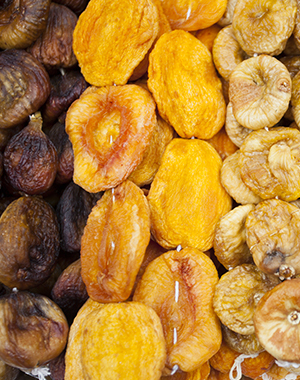 It has preserved its traditional cooking formula through centuries. It’s a substantial soup of cows’ feet and stomach with plenty of garlic, all sorts of pickled vegetables and vodka on top of everything. Traditionally khash is served in the morning between 7-10 a.m. Centuries ago, when rich people slaughtered animals, they used only meat and threw away the feet (as well as tails and entrails) and it is believed that poor people picked them up, cooked and ate them early in the morning so that nobody could see what they were eating. Unlike other kinds of Armenian meals khash is served only with limited ingredients, such as garlic, salt, mineral water, greens, radishes, yellow chili peppers, lavash, and vodka, which makes it possible to digest the “feet soup”. Collection of Gyumri’s traditional desserts is very delicious. Traditional gata, pakhlava, shakar lokum (Butter Cookies), shakar choraki are everyone’s favorite. 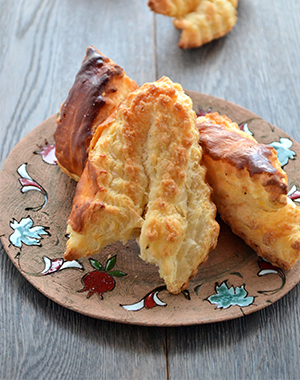 When you visit Gyumri you should taste Gyumri’s traditional yaghli which a dough sheet fried in oil and powdered with sugar. This is the place where beer lovers are going to enjoy themselves the most. Beer was one of the most used beverages among other drinks in Alexandrapol. There were many pubs, beerhouses and inns where city’s craftsmen used to gather and have some drink. The history of armenian beer goes back to ancient times. Greek historian Xenophon described an “unusual” drink that he tasted in Armenia 4th century B.C. The first brewery in this area was built in 1898 by Tsahikyants. Company “Gyumri Beer”, which is one of the largest beer producers in Armenia was founded in 1970.